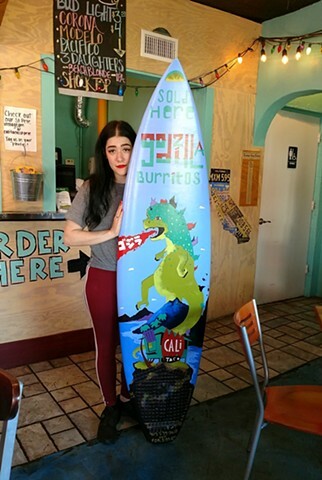 Hand-painted surfboard sign for Cali Tacos To-Go's 4th Street Location in St. Pete, Florida. Fun project being held my the store manager, who is awesome. Check out the place great food and a fun chalk wall to doodle on.